Marc has generously donated his photos from Bison Archives of Runyon Canyon and surrounding areas. We plan to use them in the park kiosks. 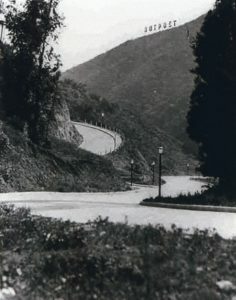 Outpost Estates 1924 on the east side of Runyon Canyon. We will be giving Marc a Certificate of Achievement on November 15th.